Invasive species are animals, plants, pathogens or fungi that thrive outside of their native range, subsequently interrupting and damaging the balance of flora and fauna within the local ecosystem. They usually have the ability to grow quickly, causing harm to the original environment in many different ways. There are many invasive species in existence across the globe, introduced both deliberately and accidentally. 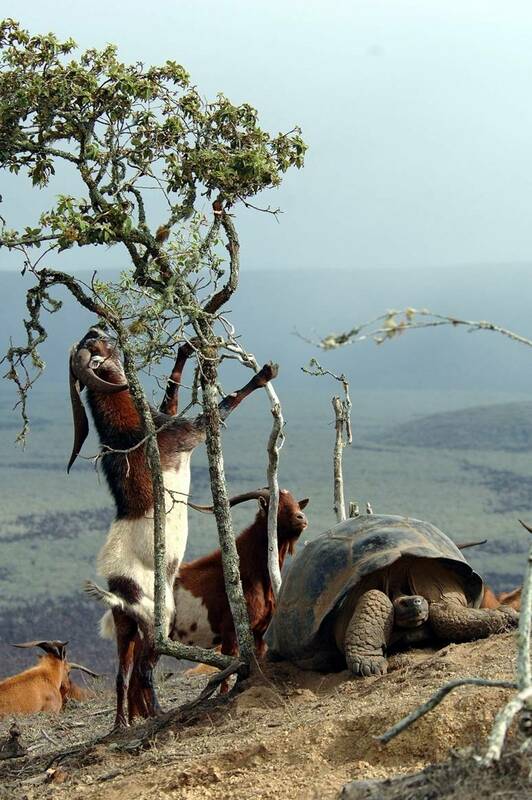 Invasive species are of particular concern for the conservation of islands like Galapagos. Despite their high levels of biodiversity, islands also have high levels of endemism. Island species also usually only exist in small numbers making them particularly vulnerable to extinction. In fact, the majority of all recorded extinctions that have occurred on islands list invasive species as the primary cause. The isolation of the Galapagos Islands has prevented the immigration of new species over time. This means the native species here have few strong competitors or predators. Since the Islands were first discovered in 1535, a large number of species have been introduced by humans, mostly before we knew the impacts these species would have on the natural ecosystem. Some were deliberately brought to the Islands for agricultural and aesthetic purposes. Pigs, goats and chickens were brought to provide food, species such as domestic cats and dogs were brought for companionship, and many ornamental plants were introduced to create gardens. Other species were introduced unintentionally including rats, and various insects and pathogens. 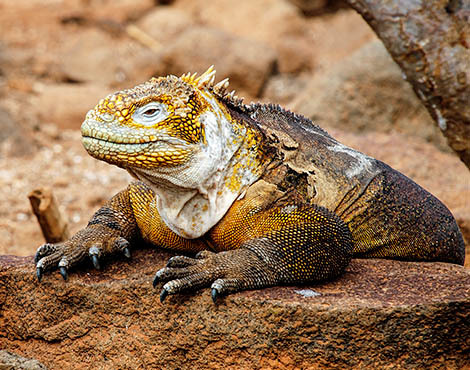 Today there are estimated to be over 1,700 invasive species in the Galapagos Islands. A range of actions have been put into place in order to control, limit and eliminate the risk of any further invasive species entering the Islands. These range from scanning every visitor’s bag on arrival and departure of the Islands, to capturing and removing invasive mammals and plants. GCT is currently funding projects within Galapagos in to control invasive species. One of the invasive species currently posing the biggest threat to Galapagos wildlife is a species of parasitic fly, Philornis downsi. As an adult the fly has no impact on the ecosystem, however the larvae of this fly feeds on the eggs and hatchlings of many species of Galapagos land bird. This increases the mortality rate of the chicks, and has led to a decline in the population of many of Darwin’s finches. Over the last few years, GCT has supported several projects aiming to increase our understanding of the biology of this fly, to produce an effective control plan to minimise its impact on Galapagos land birds. In 2012, GCT co-funded an international workshop that included local organisations and authorities, current researchers working on P.downsi, and international experts to develop a 5-year plan for the control of this species.